Every home has some level of hoarding situation going on. There might be an abundance of clothing in the closet that is never to get want to get. They could be all kinds of broken appliances out in the garage that are never going to get prepared. They can also just be a random amount of unused furniture and other household goods scattered about the house. That would make a home an official hoarder type of house. But it doesn’t mean that junk should be cleared away. Freeing up storage space and getting rid of clutter is something every homeowner can benefit from. Whether you have a big or small hoarding cleanup issue you can always count on Junk King Philadelphia to help make it all go away. Junking prides itself on its level of promptness for their appointments. When you schedule a session with Junk King you will be asked to set aside a two-hour window to wait for the crew. This provides ample time for those teams to get from one location to the next. Most often, it takes them less than 30 minutes to do the actual clearing. The only time things slow down a bit is if the crew has to take something apart or there is a massive amount of stuff to get loaded onto the truck. With those extreme hoarding cleanup situations Junk King will often bring in additional crews and trucks to make sure everything can be cleared out in that single appointment. Yes, Junk King likes to work fast and you will always benefit from their efficiency. Aside from the fact that the Junk King crews are going to do all the lifting and loading work for you the other reason to hire them is because of their fair pricing. Junk King does charge by the truck load but not how you might think. First of all, it is never about weight. It is about how your stuff will fit onto the truck. Will it be one quarter, one third, one half or the whole truck? The Junk King crew will know the answer to that question after they’ve had a chance to look over all the things you want to get rid of. Because they make several appointments in the day they also pack up the truck very tightly. That means you can have the low end of the price scale because they’re going to use up as little room as possible. It doesn’t matter if you are throwing out a little or a lot, you can always count on Junk King Philadelphia to take care of your hoarding cleanup the right way. This entry was posted in Bucks County Junk Removal, Philadelphia Junk Removal and tagged Hoarding cleanup, Junk King, junk removal on March 31, 2019 by Junk King. Last updated March 31, 2019 . Being put in charge of an estate comes with a lot of responsibility. You have to decide if the property is can be put up the sale or kept in the family. There also all the furnishings, appliances and other items in the home that need to be handled. Some will stay in the family while others can be sold through an estate sale. What is left behind after all that will be part of the estate clean out. This might be a very big challenge if you were to do this on your own. Thankfully, Junk King Philadelphia is standing by to offer experienced help with this type of clean out. All the items left over in an estate that you’re going to have Junk King pick up could literally be scattered throughout the entire house. There might be a bedroom set in an upstairs room and an old washer and dryer down the basement. The team from Junk King won’t have any problems going from room to room clearing out whatever is left behind. You may feel inclined to gather everything into a single pile but it is not necessary when you hire Junk King to do the work. They will climb any set of stairs to get to the rubbish! Just because you weren’t able to sell something from the estate doesn’t mean it has to go to waste. Junk King prides itself on its responsible disposal policies. That will often include dropping usable items off at local charities. Junk King has set up great relationships with these organizations and it knows any given time what they are looking for. There is also a lot of things that you might be cleaning out that could be recycled. Junk King can make those drop-offs also. It’s all part of their junk removal package. When you call to set up your appointment with Junk King, let them know a general sense of just how much you’re getting rid of. They want to make sure you have the right amount of crew and trucks to take care of that. Working with Junk King Philadelphia means that your estate clean out can go off without any hassle. Set that up today. This entry was posted in Bucks County Junk Removal, Philadelphia Junk Removal and tagged estate clean ou, Junk King, rubbish on March 24, 2019 by Junk King. Last updated March 24, 2019 . Do you know how great it feels to come home after the house has been cleaned? That is the kind of feeling you should give your employees every time they show up for work. Studies have proven that a clean workspace is a much more productive workspace. Of course, this doesn’t mean you have to do the cleaning. That’s what janitorial services are all about. But there might be some bigger items that need to be clean from your business that your cleaning service can handle. That’s when it’s time to bring in Junk King Philadelphia. One session with these professional junk haulers in your business cleanup will be taken care of from top to bottom. What in your office isn’t being used? There might be all kinds of broken office furniture that has been tucked into a corner or a storage room. You might have configured the workspace so that all those old cubicle walls are now stacked up down in the parking garage. It could also be all manner of outdated office equipment like old fax machines, monitors and computers. If you were going to make money for them, then you probably would have already. Chances are if they been updated then they don’t have any value for any other company. All of those items can be picked up by Junk King in one quick session. A business cleanup with Junk King operates the same way a home cleanup wood. You’ll be assigned to movers who will be doing all the work. Typically, Junk King asked that you pick a date and two-hour window for the session. If you are flexible during work hours, then Junk King can come by at the most convenient time. They might even be able to provide the same day pickup. However, if the words better for an early morning related night pickup, then Junk King can make that happen as well. Everything that you give to Junk King will have the opportunity to be recycled or repurposed. This allows you to continue to promote your company as a green business. It also should make you feel good about getting rid of that unwanted rubbish. Taking care of your business cleanup is easy when you bring Junk King Philadelphia in on the action. Make that happen today. This entry was posted in Philadelphia Junk Removal and tagged business cleanup, Junk King, junk removal on February 28, 2019 by Junk King. Last updated February 28, 2019 . In the last couple of weeks, there has certainly been a lot of opportunity to engage in a cardio workout without going to the gym. That’s because of all the snow shoveling that is going on in the area. Did you know that one square foot of wet, heavy snow ways up to 21 pounds? If you had to shovel your driveway, then you are essentially moving several hundred pounds of snow. Even moving that snow a little distance can put a big strain on your back. This is why snowblowers are in great demand at this time of year! Knowing how hard it is to shovel snow and what is strain that can be might put you off the task of getting rid of junk around your house. This is probably why you still have an old futon down the basement or a busted refrigerator out in the garage. There is simply no easy way to get rid of that on your own. Thankfully, you don’t have to do it alone. One call to Junk King Philadelphia can get the job done without any risk to your back. Moving heavy objects from your home is definitely a two-man operation. That is exactly what Junk King is going to provide. The two men crews who will be assigned to your junk removal appointment have been fully vetted. There also licensed and insured. This is exactly the kind of professional service person you want working in your home. You might be able to move a refrigerator or sofa a few inches but you certainly couldn’t get it down the front steps on your own. The Junk King teams have plenty of experience lifting all kinds of heavy objects and loading them onto the truck. The weight doesn’t matter to the Junk King team. What matters is how it will fit on to truck. They like to get a lot into as little space as possible. That will allow them to make several pickups throughout the day. It also will provide you with the low end of the price scale. You know what the prices before the work begins. You’ll find the Junk King’s prices are competitive and affordable for this type of service. Avoid hurting your back safe and getting rid of all of your junk is a win-win! Junk King Philadelphia can make that happen. This entry was posted in Bucks County Junk Removal, Philadelphia Junk Removal and tagged back, Junk King, junk removal on February 23, 2019 by Junk King. Last updated February 23, 2019 . When buying a home, they really aren’t any surprises in terms of the number of rooms. You know exactly how many bedrooms and bathrooms you’ll be living with. You also know exactly how big the closets are. You might be fortunate enough to enjoy a home with a walk-in closet. Remember what it looked like when everything was empty? Those days are long gone! In no time at all the rooms were filled with furniture and the closets were filled with clothing and other stored items. Then it’s the garage, basement and attic that starts to fill up with all the stored items like holiday decorations and unused furniture. That’s when storage space starts to become scarce. Fortunately, there is a solution on how to make more storage space in your Bensalem home. It involves sorting and a call to Junk King Philadelphia. The sorting will be the most time-consuming aspect of making more storage space. You need to take the time to go through all your closets and all the boxes you have in storage to determine exactly what is worth keeping. You might make these decisions quickly or it could take a lot of time depending upon how many things you sort. You could also already know about some big stuff that you want to get cleared out. When all the sorting is done, the Junk King crew can roll in and handle the rest. When you hire Junk King, you’re hiring a pair of movers who were going to do all the work. That work not only includes lifting heavy stuff but also carrying those items up and down stairs if need be. You should not feel obligated to “make things easy” for the Junk King crew by carrying your own heavy things. This is what you’re hiring them for an they’re happy to do it! Everything that’s collected by Junk King doesn’t have to go to waste. You should feel good about getting rid of clothing and other household goods knowing that Junk King will do everything in their power to make sure those things are dropped off at a charity. That’s really the best way to handle this type of decluttering. Making more room in your Bensalem home doesn’t have to be complicated thanks to help provided by Junk King Philadelphia. This entry was posted in Philadelphia Junk Removal and tagged Bensalem, Junk King, junk removal, rubbish on January 30, 2019 by Junk King. Last updated January 30, 2019 . The spread of online sites like AirBnB and VRBO have made it easier for property owners to rent out their homes. Given the right location, a rental property can generate a decent amount of revenue; enough that would pay for the mortgage. What makes those investments ever more feasible are property managers. These are the professional who handle all the day-to-day aspects of keeping a property well maintained, finding renters and acting as the intermediary between those renters and the owner. Smart property managers have their own list of reliable vendors to help with everything from a leaky faucet to a busted washing machine. One vendor that should be part of every property manager’s file is Junk King Philadelphia. These are professional junk haulers who make cleaning up a property a breeze. The most common time for property managers to “activate” Junk King is after a tenant has moved out. Some are very good about leaving the place in the exact same condition as when they moved in. That will mean they will be able to get their security deposit back. On the other hand, there are tenants who either leave in a hurry or underestimated their move truck and leave things behind like old furniture, rugs, appliances and assorted rubbish. That is when Junk King can sweep in and sweep up all those items for a quick cleanup. Junk King will dispatch two capable movers and a big truck for the task. When you get right down to it, that is all you need to get the job done. The items that are collected by Junk King will have an opportunity to be recycled or donated. That keeps those things out of area landfills which is the best way to protect the environment. As for the cost, Junk King has a pricing policy that is based on volume and not weight. That can make a huge difference when you’re hauling away heavy pieces of furniture. Junk King also likes to move fast, which is important when you need to get a rental property back on the market. With Junk King Philadelphia on the job, property managers won’t have to wait long to get a thorough cleanout. This entry was posted in Bucks County Junk Removal, Philadelphia Junk Removal and tagged Junk King, junk removal, property managers on January 23, 2019 by Junk King. Last updated January 23, 2019 . What Do Junk King Customers Have To Say? The vast majority of first-time customers with Junk King will always come back for another session at some point. That’s because we always seem to accumulate more stuff over the years. But it’s not just getting rid of rubbish that Junk King can help with but also cleaning up after a remodeling project and clearing out yard debris. It might seem like an arduous task to lift and load heavy objects but is something that to Junk King crews do every day. Don’t hesitate put them to the test! Believe it or not, getting rid of a treadmill from a basement and a built-in hot tub are not extraordinary challenges for Junk King. This is what they do all the time! When you need to get rid of something heavy or bulky your home, then you need to hire Junk King Philadelphia ASAP! This entry was posted in Philadelphia Junk Removal and tagged customers, Junk King, junk removal on December 29, 2018 by Junk King. Last updated December 29, 2018 . 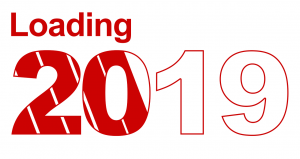 What goals have you written out for 2019? It helps to put a plan of action down on paper so that you can refer to it throughout the year and make sure you’re hitting your “targets.” Most of us will share many of the same goals like wanting to save money or getting into better shape. Another popular goal is to keep the home organized and free of junk. Just because you make a goal for the new year doesn’t mean you have to do it on your own. When it comes to the junk free goal the best partners to pull in are Junk King Philadelphia. They’ll be able to help you get rid of all the unwanted stuff in your home in less time than it takes to enjoy a healthy breakfast! The first step in your Junk King junk removal process would be to decide exactly what you want to get rid of. They may be some big pieces of furniture in your home or old appliances that are being used that would be obvious choices for your removal list. Those won’t be a problem at all for the Junk King crew to load up on the truck. But you don’t have to stop there. Take full of advantage of those movers and that truck to get rid of every piece of clutter and rubbish. That might require a bit of sorting on your part. When was the last time you pulled everything out of your closets? Have you look through every box in your garage? Do you know what is kept on the shelves down the basement? All of those areas would be a prime spot for sorting and you might discover a lot of things that could be removed. Just think of the difference it will make with regard to your storage around the house? To put this plan into action you only have to call Junk King or set up an appointment on the website. Most sessions are completed by the next day. Yes, you could get rid of your junk by this time tomorrow! Make it a new year without junk thanks to a little help from Junk King Philadelphia. This entry was posted in Philadelphia Junk Removal and tagged Junk King, junk removal, new year on December 22, 2018 by Junk King. Last updated December 22, 2018 . Every year, car manufacturers begin showing advertisements for the holidays that make the suggestion that you should give a car someone for Christmas. How many of these commercials and is where there’s a brand-new car sitting in the driveway with a giant red ribbon? They make it look like a terrific gift. In reality, it might be the worst gift you can give. Could you imagine accepting a car that you’ve never taken for a test drive? What if it was the wrong color? What if it had the wrong features? Yes, there’s a lot they can go wrong with that kind of gift. However, there is one gift that you can give this holiday that would be very much appreciated and last long into the new year. That would be a junk removal session with Junk King Philadelphia. 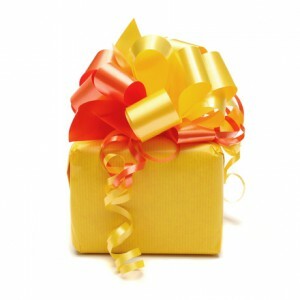 It might not have the “wow” factor but it is something that the recipient will appreciate very much. Think about someone special in your life who has been struggling with getting rid of stuff around their home. Maybe they’re complaining about furniture down the basement that they can’t get rid of. Maybe this clutter in the garage that they need to clear out. Maybe they have some things up in the attic that they would like removed. What is stopping them is the lack of movers, a truck and time. Junk King can provide all of that. The movers will be a pair of hard-working junk hauling experts who have a lot of experience carrying out all kinds of oversized in heavy objects. Whether it is a piece of furniture in upstairs bedroom or an old washer from down the basement, the Junk King team won’t have any issues with getting a quickly removed from the home. Everything they collect is going to be loaded onto the back of their truck. This is a truck that is big enough to hold the equivalent of six pickup trucks. Yes, there’s a lot that can go on the back Junk King truck! As for the time, you won’t be sacrificing a lot of. The Junk King crews can get in and out with all the unwanted stuff from a home in under 30 minutes. As long as you know what you want taken away, they can move very fast. If you know someone that stuck with a lot of rubbish in the house, then help them get unstuck with the junk removal session holiday gift from Junk King Philadelphia. This entry was posted in Bucks County Junk Removal, Philadelphia Junk Removal and tagged holiday gift, Junk King, junk removal on November 30, 2018 by Junk King. Last updated November 30, 2018 . The holidays all about family traditions and each family has their own “rules” when it comes to decorating. Some folks like to get the decorations up before Thanksgiving weekend is over. Others will pick out the Christmas tree the first weekend in December. There are even some folks who wait until Christmas Eve to put up the Christmas tree. 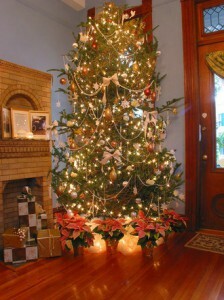 There are also specific ways to hang lights and string up other decorations. Of course, there’s always room for “expansion.” That usually means that decorations bought the day after Christmas from last year are going to be put on display this year! Before any decorations go up you want to get things sorted throughout the house and that can mean removing a lot of unwanted rubbish and clutter. This is where Junk King Philadelphia can be a big help. What are some of the big things you like to get rid of your home for Christmas? Maybe you need to make room for the arrival of a pool table or air hockey table down the basement. That means clearing out an old sofa and other junk. If you are planning a holiday open house, then you certainly don’t want to have guests seeing any junk piled up in guestrooms or on the back porch. All that can be removed in a single session from Junk King. 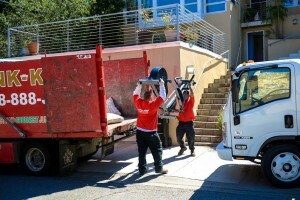 Junk King will set you up with a team of skilled movers who were going to do all the lifting and loading work for you. That can make a big difference when you deciding what you want to get rid of. That should be any hesitation with regard to the size of an item or how heavy it is. Just because you can’t lift it on your own doesn’t mean the Junk King crew will be able to swiftly have it taken from your home and loaded onto the truck. This is what they do all day long! You’ll also feel good about hiring Junk King knowing that a lot of what you’re getting rid of could be donated to a charity. You don’t even have to ask for the special drop off. It will happen automatically. Making your home holiday ready is easy when you hire Junk King Philadelphia at the start. This entry was posted in Bucks County Junk Removal, Philadelphia Junk Removal and tagged holiday, Junk King, junk removal, rubbish on November 23, 2018 by Junk King. Last updated November 23, 2018 .